What makes any Caribbean golf getaway the perfect destination? Did you know the Caribbean is known for having some of the best golf courses and resorts in the world. Is it the fine dining? When I start to plan any Caribbean holiday besides finding an island with great weather my first thought is to find out about the course(s). That is because every course has its own story and design for you to experience. Whether it is standing on the 11th tee at the Ocean Club on Paradise Island in the Bahamas or feeling the soft winds on one of the Casa de Campo Dominican Republic courses, like the Teeth of the Dog. Today more and more golf fanatics (like me) who love to travel to the Caribbean or are thinking about it are looking for more than just the traditional golfing holiday. The ideas for any Caribbean Golf Getaway can be as unique as you are! This website is my journey to enjoying memorable, adventures. What's going to be the quality of a Caribbean golf course? The golf courses at the Sandy Lane Golf Resort in Barbados. 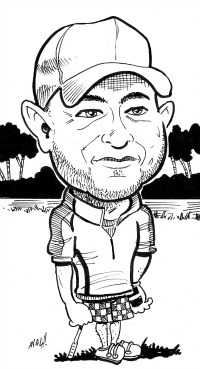 While The Old Nine course has a lot of history to it, you'll be playing through the Sandy Lane Estate, so get ready to keep it straight as the fairways are tight and the greens are small. 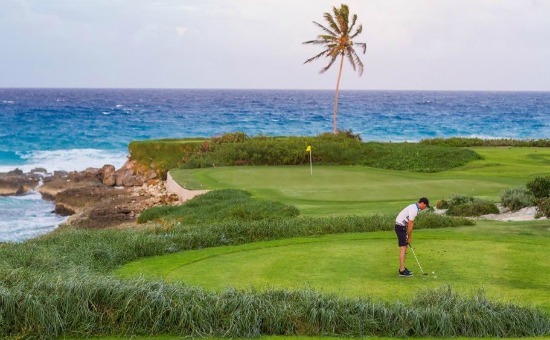 While the Tom Fazio designed Country Club course brings it own challenges, you not only have to battle the course but you could find yourself like me being distracted by the breathtaking views of the Caribbean Sea. 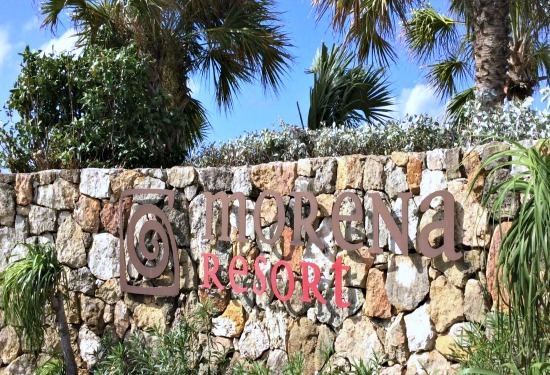 On my only visit to the resort, I had just enough time to see how this golf course was created from an old limestone quarry, you'll see exposed rock faces form and dramatic contrasts to the lush rolling greens of the fairways. 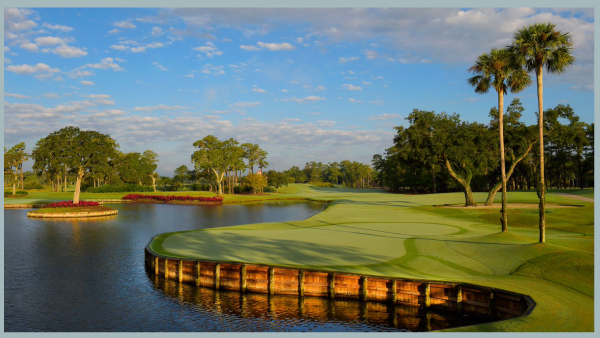 This course is definitely is on my bucket list. But where to stay ? Next on my golf holiday planning checklist is where to stay when on an island? The quality of the accommodations is important to me. 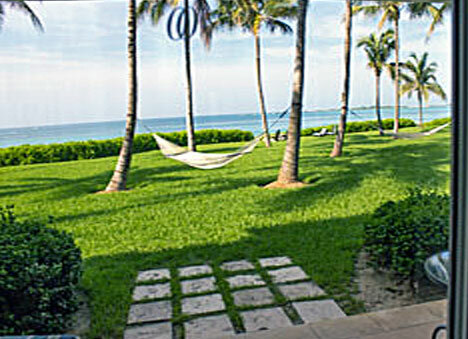 On a recent trip I stayed at the beautiful Ocean Club on Paradise Island, in the Bahamas. Staying a resort like this is a different kind of get away experience. Should it be a villa overlooking the ocean with a staff? Buddies of mine swear by this as the only way to stay in the Dominican Republic. The choices for all inclusive Caribbean resorts can also be daunting. Don't worry I always do my homework. That is why the price of the golf package has to be of value. My other guilty pleasure I must confess I am a foodie, so for any great Caribbean golf getaway to me has to include great restaurants. 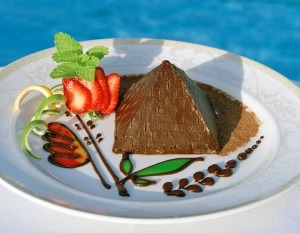 So I will be giving you some ideas and reviews of some of the best Caribbean restaurants. From the little beach bar that features great cocktails and sunsets to the 5 star establishments with a great wine cellar. I hope you will also take the time to share your favorite spots as well. What we all have in common is the love of the game and a passion for the Caribbean. So...sit back, relax, click around and enjoy your time here. That is what Caribbean golf getaways is all about. 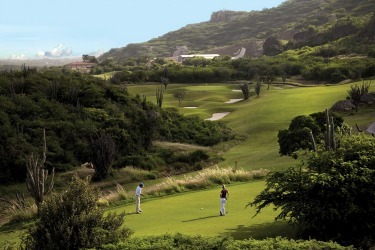 Look around the site as we explore some of the Caribbean's finest golf destinations. I wish you nothing but blue skies, sunshine and gentle breezes on your golf holiday. P.S... Don't forget to follow us on, Pinterest, Twitter, Facebook, Instagram, subscribe to my YouTube Channel or listen to the podcasts. You are sure to find everything you need right there! Oh...and make sure that you bookmark this site so you can check back for news and ideas being added!